All team selections are provisional and are therefore subject to change. Any person who has not yet paid their membership or fails to pay their competition fees in full, will be removed from the squad and their competition application will be withdrawn. The Community Cheerleading Championships 2011 will once again take place at Manchester Velodrome on Saturday 14th May. The event entry fee charged by UKCA has remained at £20 per person per category but unfortunately there will be No reduction for early booking (previously £5 per person) so for those of you dancing twice the entry fee alone will be £40 hence the fee for cheerleaders entering two dances will need to increase accordingly. 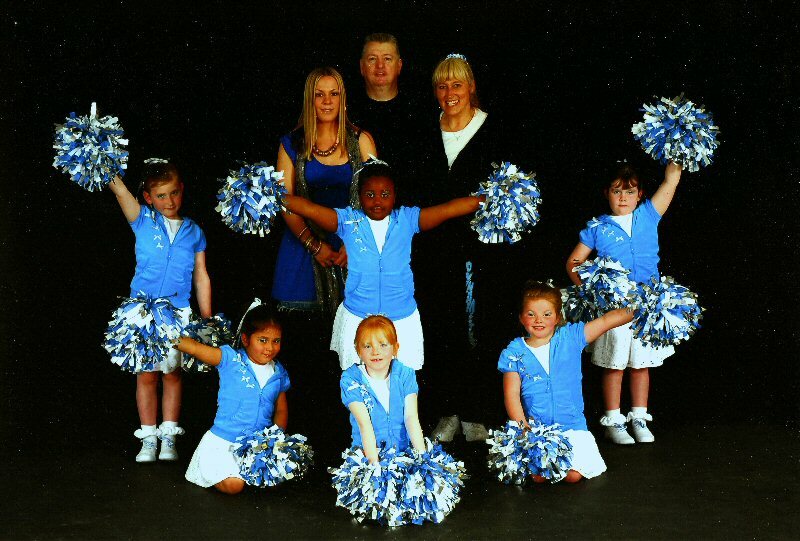 Any cheerleader who has not paid their 2011 membership or does not pay the competition fees by the due date will be immediately withdrawn from the team (No membership means No insurance which makes you ineligible to enter under UKCA rules). Please note that we will have no option as all fees Must be paid in advance to UKCA and the club does not have funds to cover advance entry fees of £1600 plus outfits purchases taking the overall cost to well over £3000 for the event. As usual we require several helpers, these positions have now been finalised with the following (many thanks to you all for kindly agreeing to give up your time) being registered. 2010 was a great year for the club but it couldn't have been achieved without the help of several people, businesses, and funding organisations. 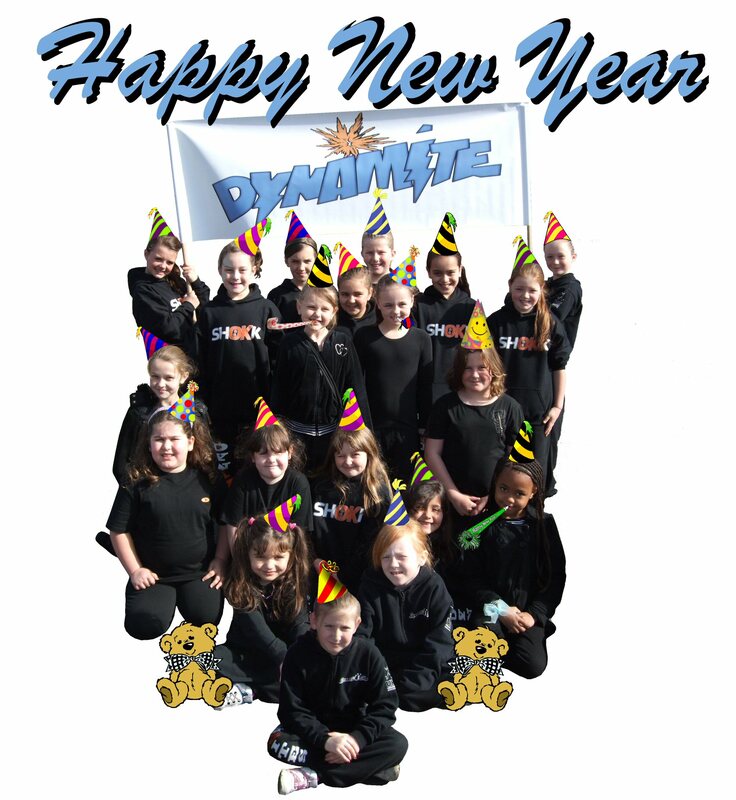 On behalf of Sporting Dynamite I would like to thank everybody who has helped us during the last year (especially the coaches, volunteers and helpers) and wish you all a very Happy New Year for 2011. The Community Cheerleading Championships, Manchester Velodrome, Sunday 17th May. Thirteenth place out of fifteen, seems like an insignificant start but its a lot better than the initial numbers indicate. This was Sporting Dynamite's first year in competition and for a new club which was only formed three months before, just entering a squad in the first place was a huge undertaking. 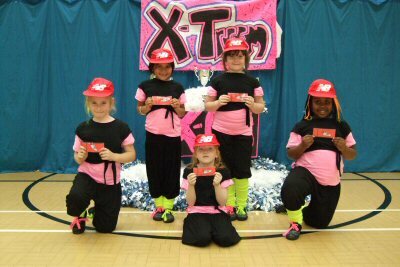 Once entered, the team danced against children much older and more accomplished than themselves as at this point (2009) there wasn't a Tiny Teenies category and even if there had been one, we still didn't have enough children under seven years to split the squad into a "Teenies" and "Tiny Teenies" where they would have had the chance to dance against children of their own age and would have most certainly achieved a better result. Having said all that, the Teenies squad acquitted themselves really well and to beat two other teams was a great achievement and a positive start to the clubs existence. The first competition ever, everybody nervous and not even sure if what we are doing is correct yet. A fifth place wow, what a start, everybody had a great day and fifth place out of nine teams was just the start a new club needed and a positive placing to build from next year. Sereena was so nervous she couldn't even put the disc into the sound system, "I don't think I have ever seen her shake so bad" "or have so much fun", it seemed that if she had smiled any wider she would have split in two! 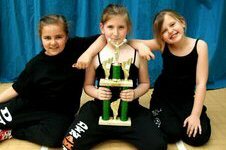 I have seen many teams compete over the years and I have helped UKCA with child protection and event management for more than 10 years. It normally takes 2 years for any club to put together a squad that are ready to compete and in the first couple of years it would be nonsense to expect to achieve any significant placing so for Sporting Dynamite to get such results is their first year was nothing short of brilliant.